Another big open canvas to display a meaningful custom tattoo! As we have stated in previous blogs, tattoos are meant to be meaningful for the wearer and one of the steps to achieve a perfect tattoo is to wisely choose its placement on your body, as not all body parts will display a specific design the same way. Both your chest and your entire upper front torso are great areas for tattoo placements, where you can have pretty much anything tattooed on. By expertly combining meaning and customization on the design, Mantra’s professional tattoo artists will make sure you get a piece you’ll treasure for the rest of your life and that looks amazing when displayed. If you are considering getting a Chest Tattoo, you may be looking to display something important to you, since it is close to your heart. This design can also be used to display something you want to make a strong statement of, or something that you are proud of. But as with any other tattoo, the canvas is your own body and you have total freedom to choose what you want and where you want it. 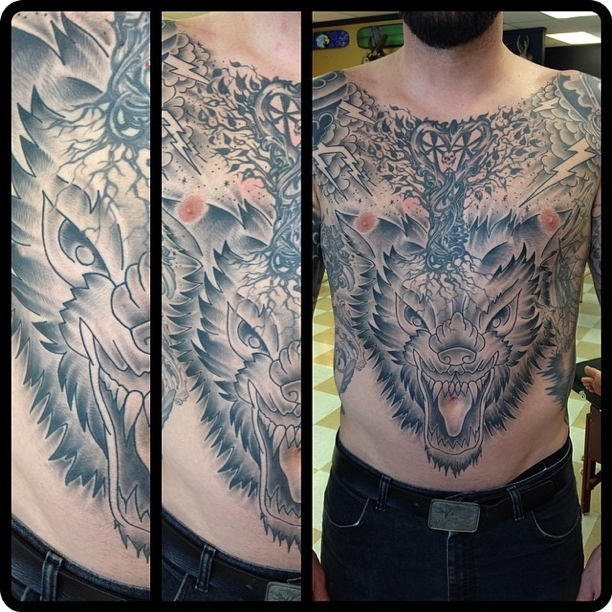 Chest tattoos look great both on men and women, especially with the right custom design. Usually the design is more delicate in order to match the curves of the collar bone or breast area. These are the opposite of Full Back tattoos and cover the entire upper front of the body, from the chest to the lower abdomen. Great and large custom tattoo designs can be made to be placed here. 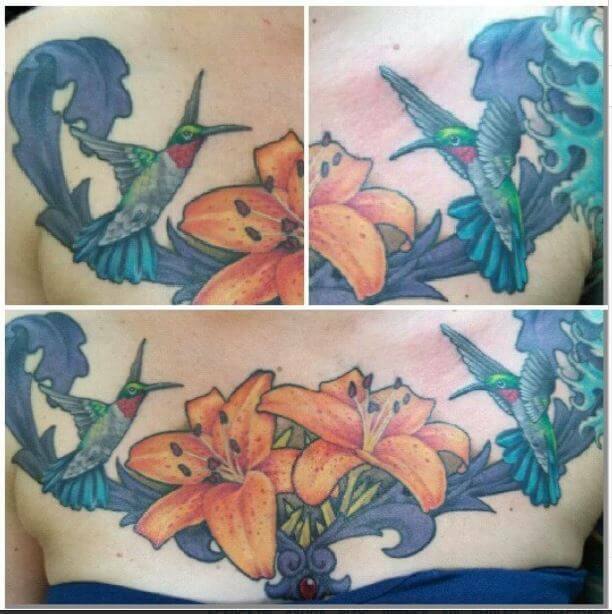 Get your Chest Tattoo done by a pro at Mantra Tattoo & Body Piercing! Come visit us to get your custom chest tattoo designed by one of our experienced tattoo artists in Denver, all of them do custom work and will create the design from the ideas you give them until your perfect front panel tattoo design is ready to be inked.